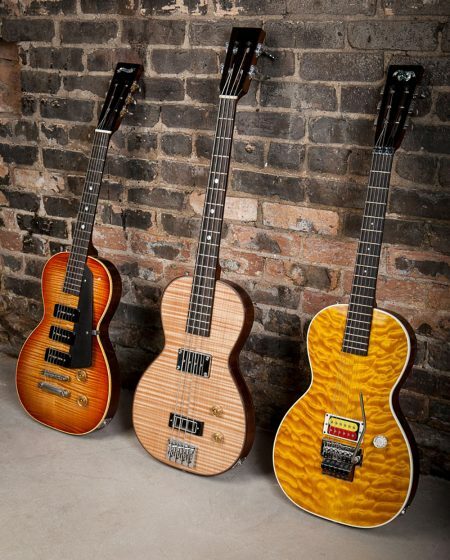 Pictured are three electric guitars that resemble the infamous Silvertone Model 1457. 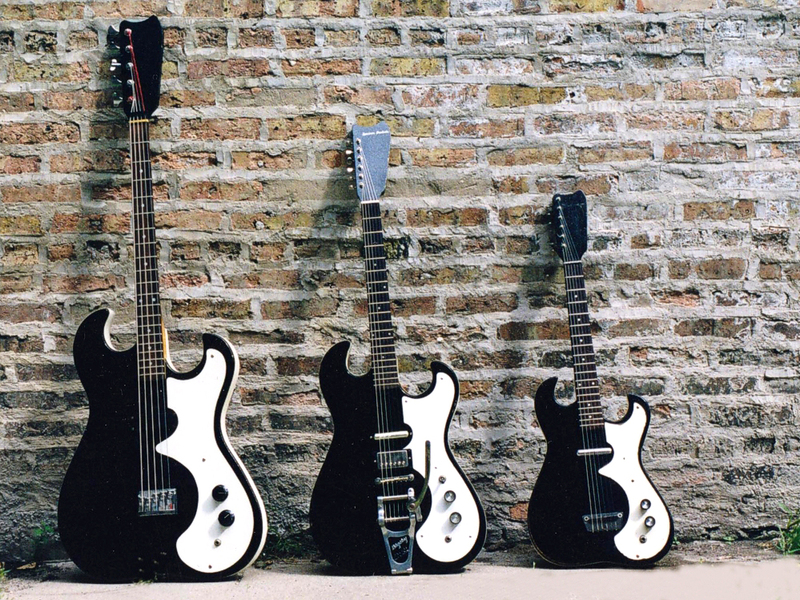 Only the guitar on the right is an actual Silvertone guitar. The other two are Specimen creations inspired by the original. 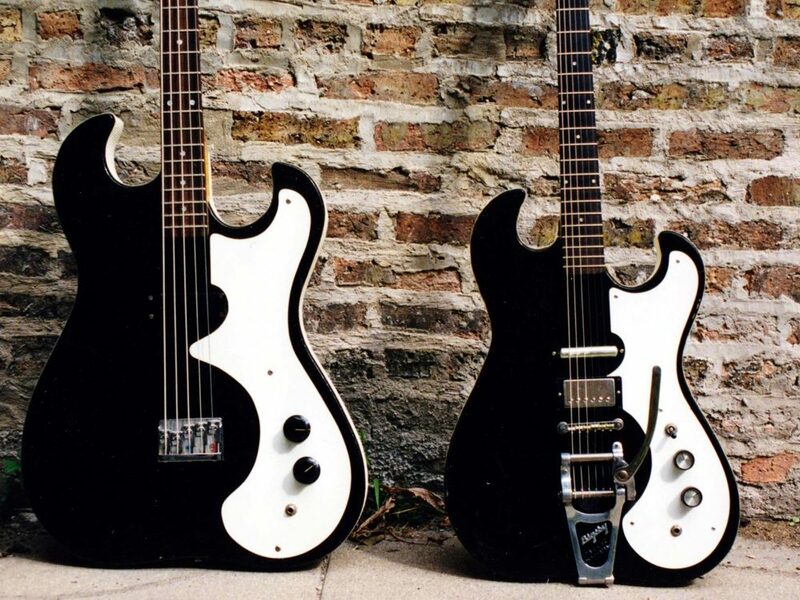 In the center is a 120-percent Specimen enlargement of the Silvertone. 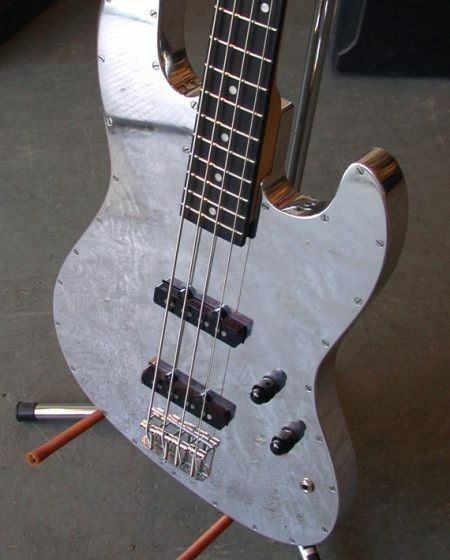 It features a 25″ scale length with a Bigsby tremolo tailpiece. 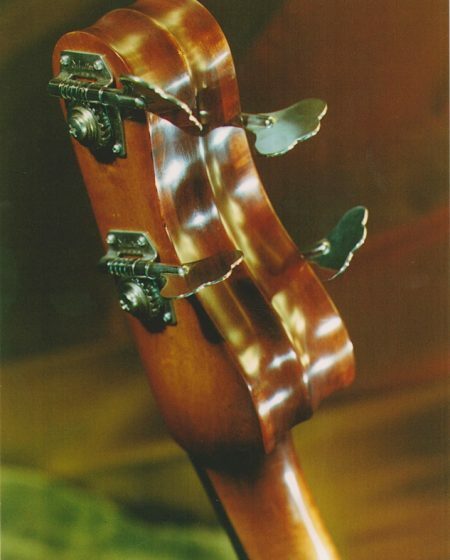 On the left is a Specimen 140-percent enlargement, transmuted into a 5-string bass. 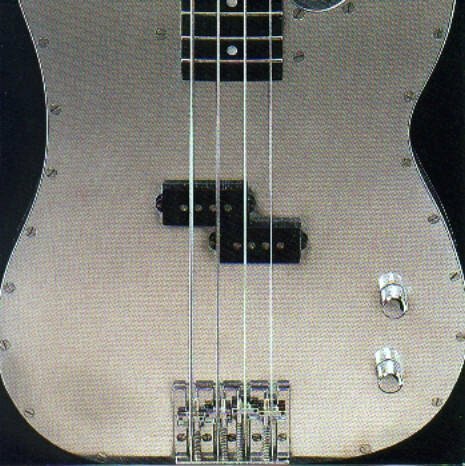 Tim Hurley (Red Red Meat, Sin Ropas) purchased the guitar, while the bass belongs to Mark Greenberg (the Coctails, Eleventh Dream Day). 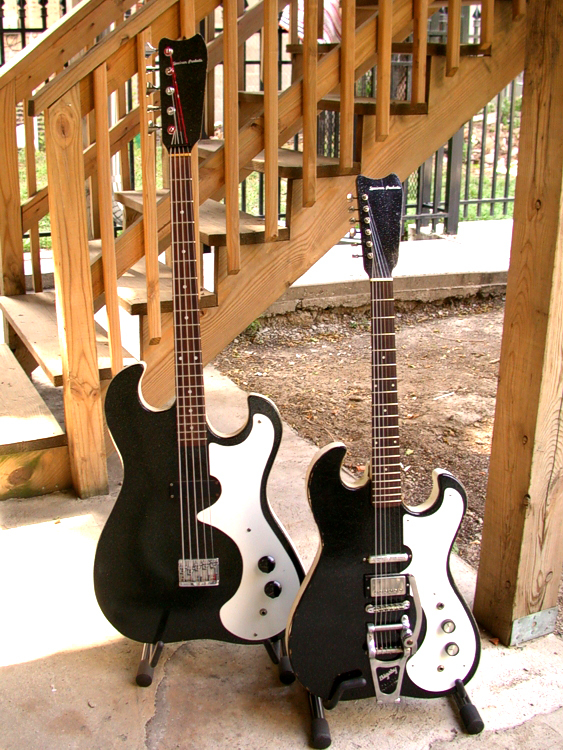 Other Silvertone-style Specimens include the Silvertone Tele, Silvertone Maxwell, Schnellercaster Custom, Andrew Bird Maxwell, BJQ Pippin, and Indian Corn Guitar.